There are few venues in Manhattan that could match up to the truly remarkable setting of Sleep No More at The McKittrick Hotel in Chelsea. Then again, there are few singers in New York that could match up to the profound voice of Sara Bareilles. 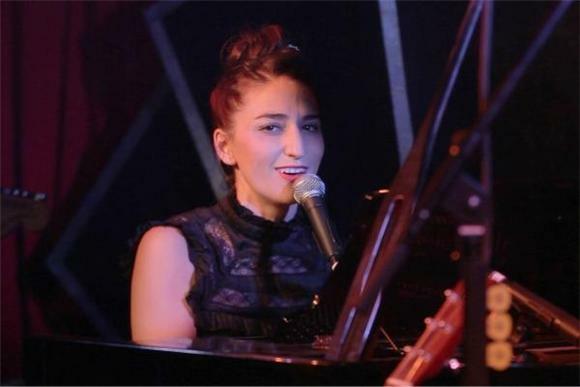 After recently immigrating to New York from LA, Bareilles carried out one of her wishes when she was given a stand-in role as a spectral nurse during the haunting theatrical performance. This was, of course, followed by a charming performance of songs off her new album, The Blessed Unrest (out today on epic) in the hazy, red-velvet wrapped Manderley Bar. We tagged along, cameras in tow, to capture the one-of-a-kind event. Prior to the release of the full performance, we're sharing two of The Blessed Unrest's shining singles; the piano-pulsing, pop sing-along "Brave" as well as Sara's emotional tale about her move east, "Manhattan". Watch the singles, and be sure to stay tuned to see the full concert in the coming weeks.